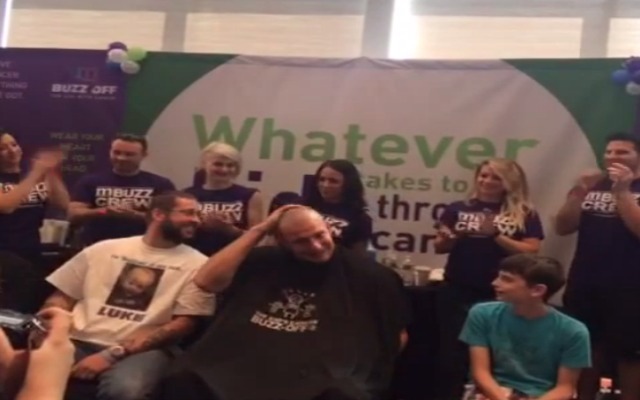 Gronk no longer has hair, but he did it for a good cause. Rob Gronkowski's busy summer is still going full throttle. Next up for Gronk? Shaving his head. On Sunday, that's exactly what Gronk did, shaving off his hair to support kids with cancer. And, thankfully, there's footage of Gronk doing the good deed. As the Patriots' tweets indicated, Gronk was particpating in a program called Buzz Off, which aims to support kids with cancer. According to Buzz Off's website, "participants raise money by asking family and friends to sponsor their participation." On a more basic level, the purpose seems to be to "honor and support of kids with cancer; kids who don’t have the choice to lose their hair." Good man, that Gronk guy.